In times of darkness, dreams sustain us. 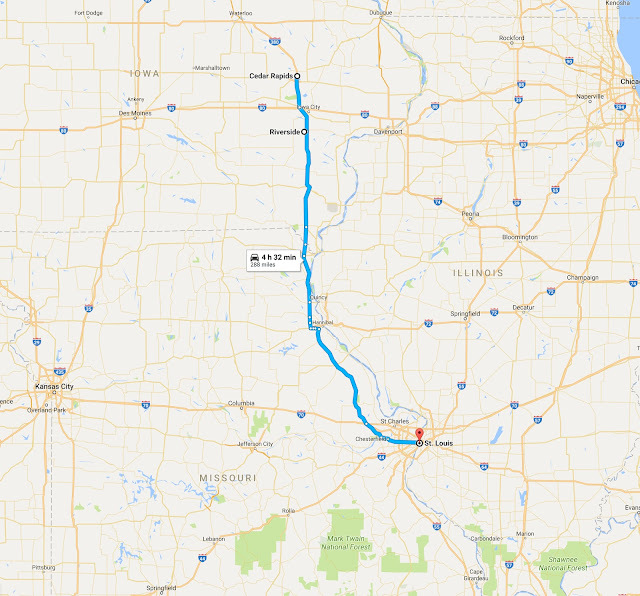 To Riverside, nestled in the full-to-bursting cornfields of Iowa, for an encounter never anticipated: a date with a future of hope at The Voyage Home Museum and the birthstone commemorating the yet-to-come birth of one James Tiberius Kirk. We reach St. Louis. Now, we wait...for eclipse.